This patient from Germany came to Vancouver to have Dr. Wong and his team do what they could to give him the biggest dramatic change that they could muster. 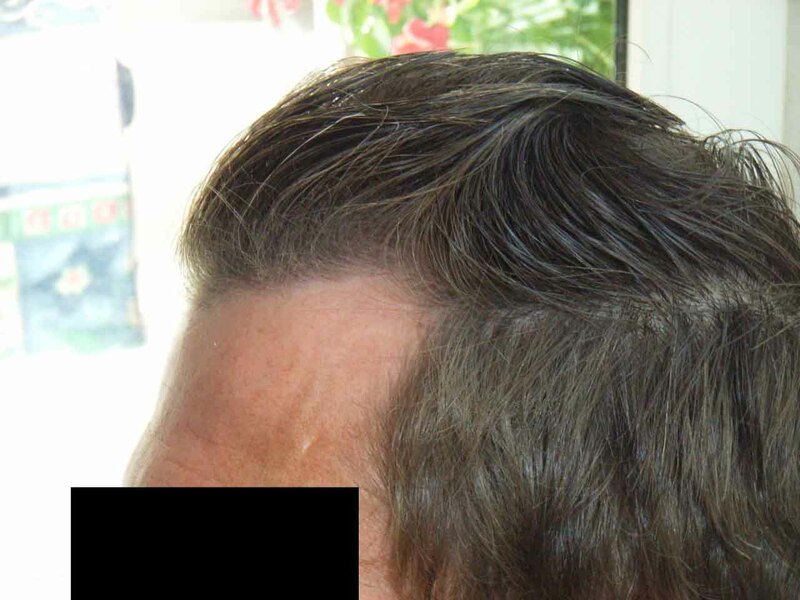 5350 Grafts and 13 hours later the procedure was complete. The patient posts on a different forum under the name “Harrybyte”. These are the only 14 months post-op photos available but I am attempting to contact the patient for more follow up photos. Immediate post-op photo. This photo was taken maybe five minutes after the last graft was placed. 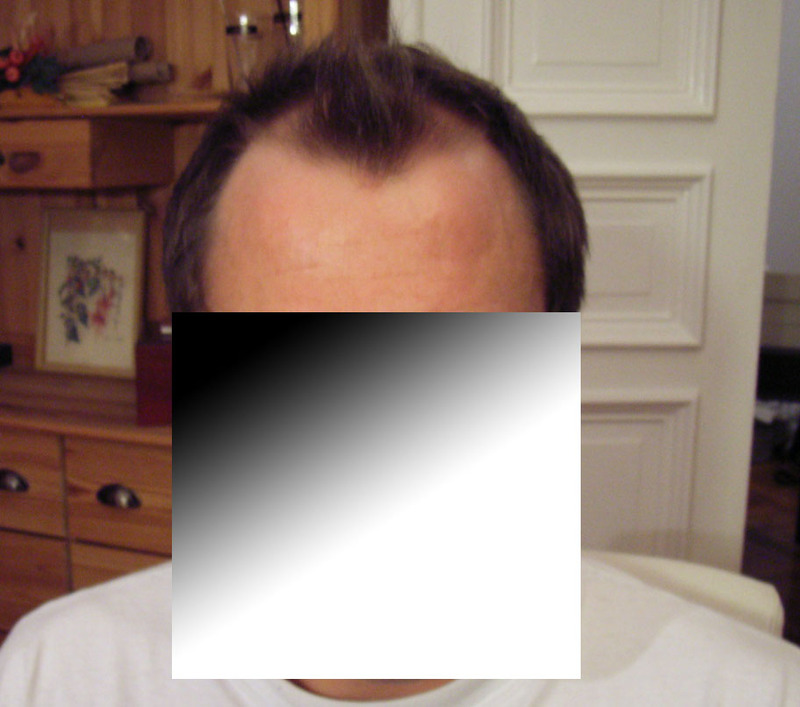 Less than 24 hours post-op, first hair wash.
Nice, is it the patient’s request or the doctor’s idea to have the v shape hairline? It was an agreement between the patient and Dr. Wong. 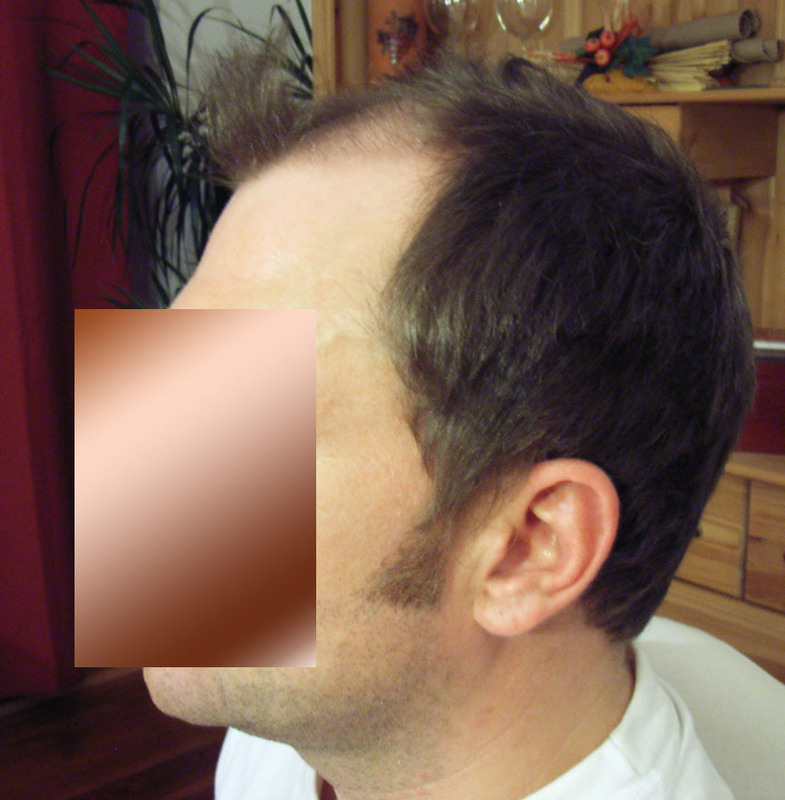 It is age appropriate and his faint existing hairline provided the template to follow. I really like that hairline design. I am impressed with the swirl, so natural. Dr. Wong didn;t over do the swirl with too much density, it’s just the right amount. » swirl with too much density, it’s just the right amount. Thank you for your comments. Dr. Wong I believe did a great job of allocating the right number of grafts for each area of the patient’s recipient scalp. 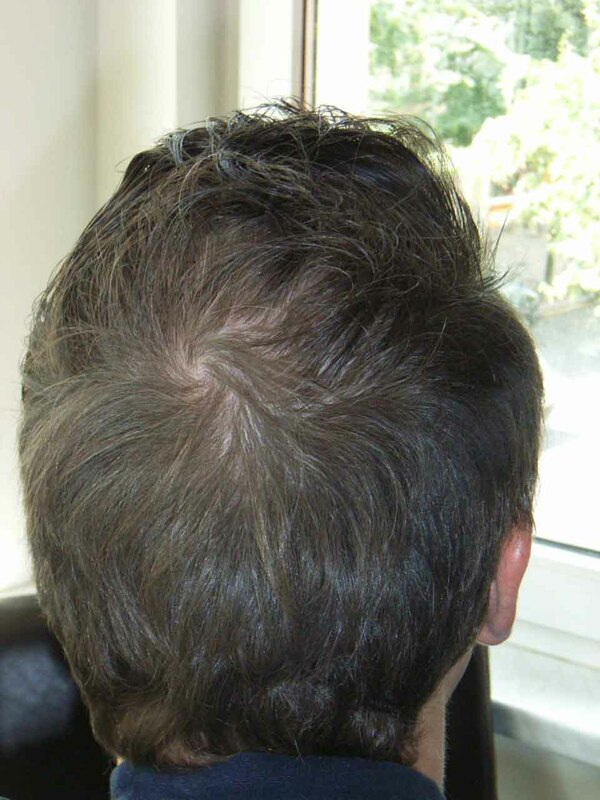 Obviously the focus was for the front but with the number of grafts harvested he was able to address all areas, albeit with different levels of attention. A very natural result indeed. I would never guess he’d had work done. i know this patient from a german board. very impressive. 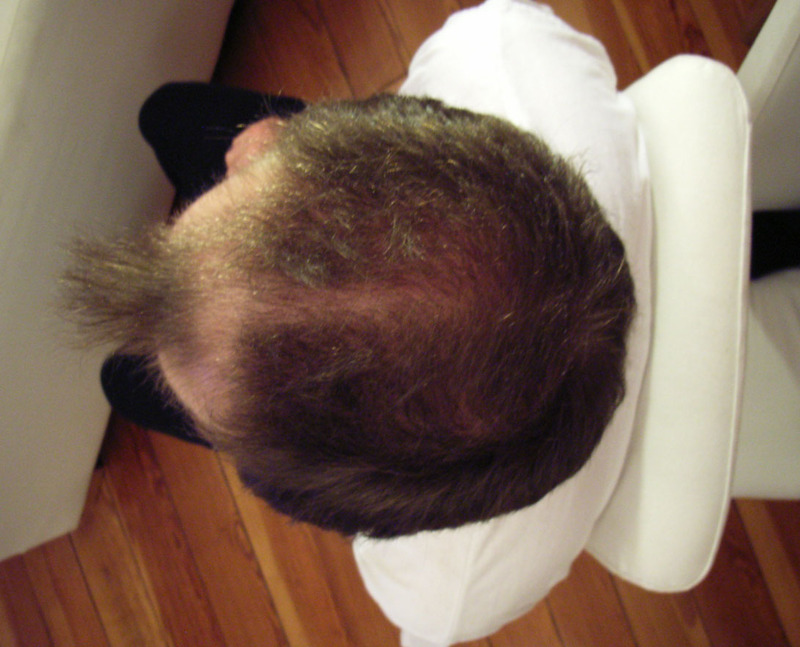 its a similar hairline to what i would want to have. i got a question about H&W. can they extract more strip grafts in one strip than other doctors or am i wrong (e.b. compared to arvind)? » strip than other doctors or am i wrong (e.b. compared to arvind)? Yes they can. There are many theories as to why. I have heard comments by other surgeons about this. The fact is that they can and the graft placement is great too. We rarely get a glimps of the donor site though sometime out of surgery! OK the results are outstanding but that’s nothing special for H&W. Not withstanding a small part of the forelock, 5350 covered a complete type VI area. There fore 6000 would have covered the area if the forelock had been more densely packed. OK, he had existing hair and that made a big difference but I would be happy with the thinner look since someday soon I will have no hair in that area. The point is that with a thinish look 6000 will do the job. We hear a call for higher numbers but I think graft survival is good for H&W and that may also be key.? » » strip than other doctors or am i wrong (e.b. compared to arvind)? » sometime out of surgery! “yes, we can” lol. thx for your reply! jotronic he received a great transplant. no debate with H&W strip procedures at all and I’m a huge fan of his work. 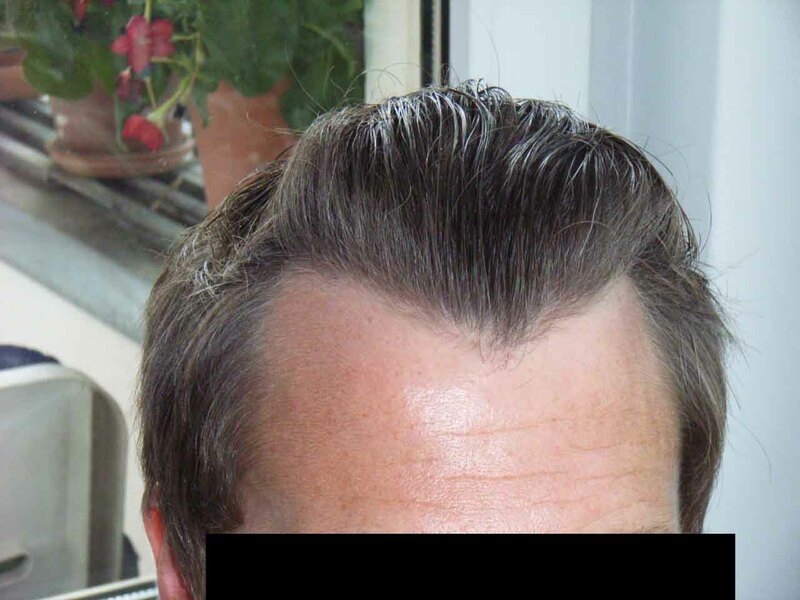 But with this particular patient the only drawback to me would be his hairline design. If it were only rounded out a little it would have been awsome especially considering the fact that it’s his “forever” hairline - It’s a Dracula hairline. 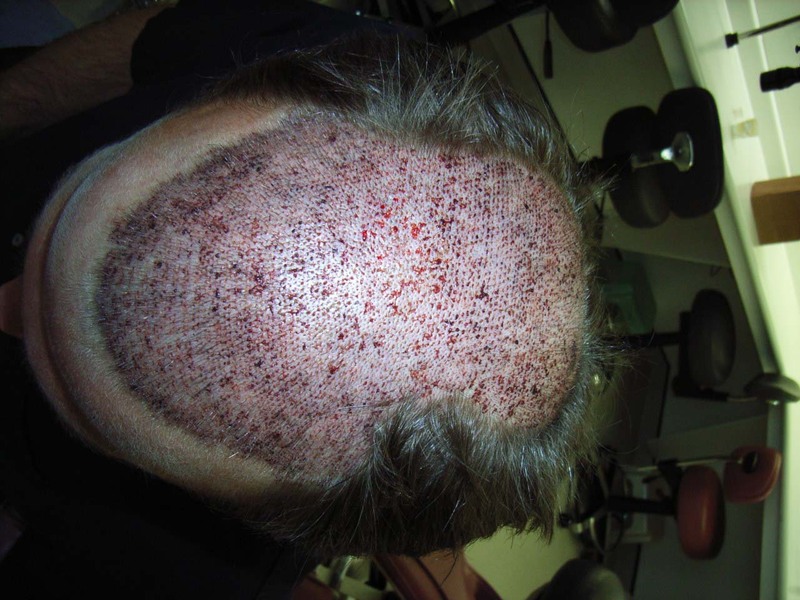 I think with the 6000 grafts he could have had it achieved. Nonetheless, great job. Is he on any meds? » the patient for more follow up photos. » last graft was placed. 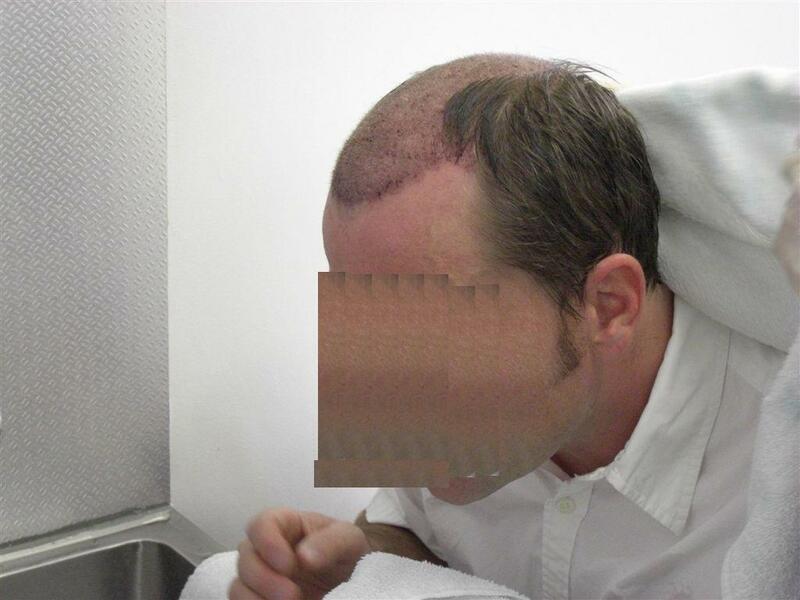 » Less than 24 hours post-op, first hair wash.
» Is he on any meds? Actually it was not quite that simple. Look at the actual transplanted area. It is round rather than peaked. The forlock was mostly left. He will need a touch up at some pount but that peak will dissapear. You may be right but regardless of how many times I go back to take a closer look at the photos, I find it difficult to analyze. I think there should be more photos and better photos. I do have to comment on how great the naturalness of the hairline looks. That’s what I intend to look for in my upciming transplant. 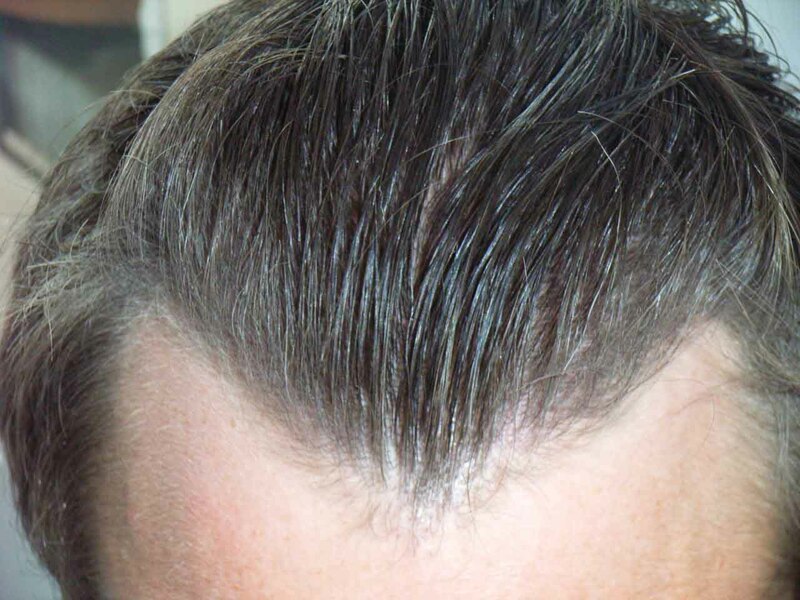 A thick hairline, yet feathered for the natural look. » » Is he on any meds? » need a touch up at some pount but that peak will dissapear.